Weekly badminton sessions are back! Join us for some fun on Tuesdays! Increase your cardio, get a handle on the racquets and meet like minded girls! 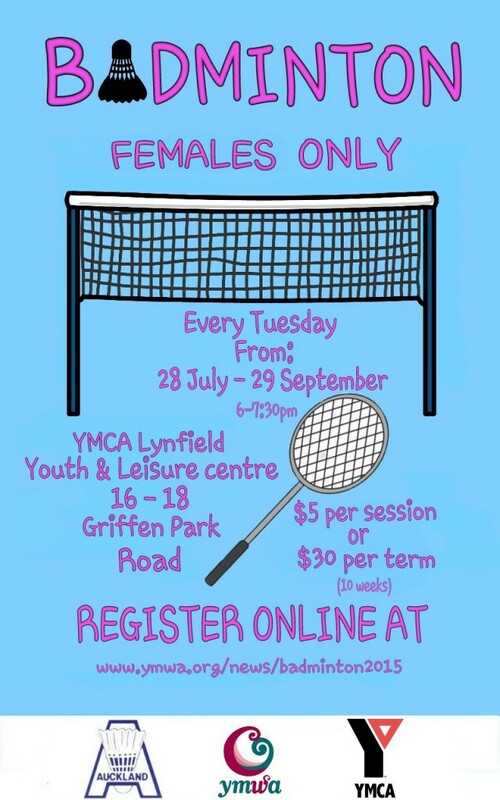 Venue: YMCA Lynfield Youth & Leisure Centre, 16 – 18 Griffen Park Road, Lynfield. Please spread the word! We look forward to seeing you all! All girls and ladies are welcome regardless of age.